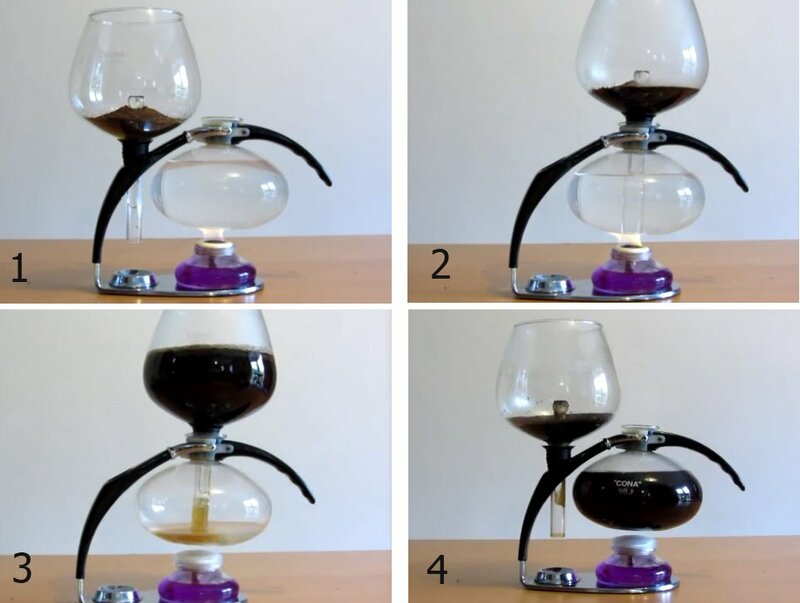 Vacuum Coffee Maker is a unique type of devices operating by way of air pressure adjustment. It is an old and world-renowned brewing method that goes back to the 1800s. 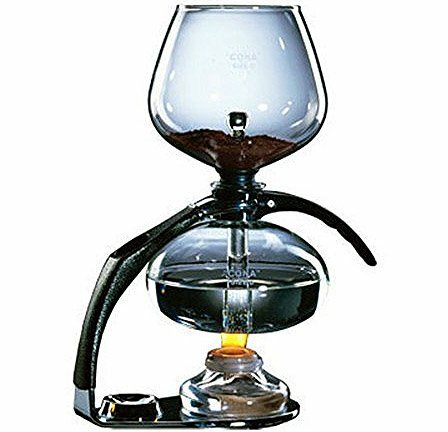 This type of appliance is also known as vac pot, japanese coffee maker, siphon, because the way the liquid is siphoned from one chamber to another. They make fine drink with a full and vivid taste. These are nice portable device for camping, and they are heated up by a spirit lamp. 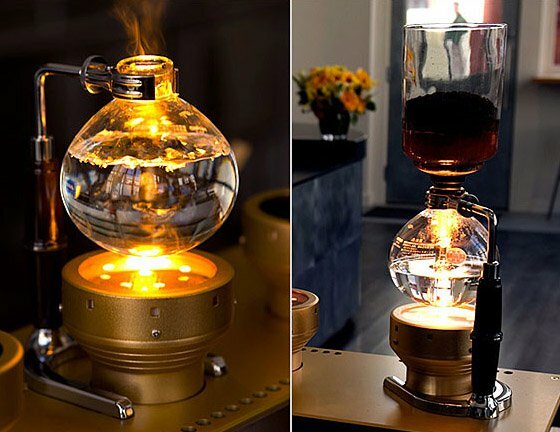 Brewing with a vacuum coffee maker, which boasts an elegant design with a scientific flair, is a great pleasure. It produces charming brewing sounds, as water boils and bubbles. It takes a bit of time and care to cook genuine coffee. A vacuum device does not feature a single plastic or metal part. It is all glass! With a Cona device at hand, you can make coffee anywhere: when camping out or on a hiking trip. It is a portable coffee maker. Imagine yourself sitting on your balcony, puffing on a cigar, or porch-sitting with your pals and brewing it. Why not use it in the kitchen? As long as you are enjoying the strong coffee flavor, you can watch the liquid sway back and forth in the glass reservoir. Cona vacuum brewers do not take much time and produce aromatic hot drink. It will be brewed in a vacuum device at an optimal temperature and speed. The brewer will extract oils and caffeine, create a genuine and pure flavor with no signs of bitterness. This is the reason why this kind of coffee makers are popular among professionals. A Cona will please you with piquant-tasting and sediment-free hot drink! How does a Cona coffee maker work? Just pour denatured alcohol in your spirit lamp. You can buy spirit at your local household store, as well as camping supply or marine supply stores. Pour some water in the lower chamber and about 15 g of ground beans in the upper pot. Do not use extra fine coffee, because it can clog the filter drainer. When water starts to boil, it will rise to the upper pot. Boil it for three minutes, then remove the spirit lamp. The coffee will stop heating up and sink back into the lower chamber. Each device comes with an instruction booklet, so read it and brew. Here is your hot drink! Brew whith a Cona, wherever you are!